George wrote this for his pal Eric Clapton. Eric had a sweet tooth and most of the lyrics came from the back of a box of Mackintosh Good News chocolates. But what did Eric really have a sweet tooth for? Eric and George had a natural affinity for each other. They recorded and wrote together extensively. They shared the same taste in guitars, humor and women. George had met and fell in love with Patti Boyd – a Savoy Truffle if ever there was one – on the set of “Hard Days Night” and were married about 18 months later. When Eric and George became close Eric found himself deeply attracted to his new buddy’s wife. This was a terrible dilemma for Eric. He solved it by moving in with Patti’s 17 year old sister – Paula. This all went very well for everyone concerned until Eric wrote “Layla” that referenced his obsession with Patti. Not surprisingly Paula kicked him out. Eric then had a M2M discussion with George in a most Victorian manner, the conclusion of which was that it would be better for everyone that Eric and Patti should be as one. Their marriage coincided with Eric increasing his heroin and alcohol intake tenfold. Not only that he fathered several children outside of his marriage. This is rarely a recipe for happiness and several years later the marriage ended in divorce. …and as the song goes. The Ukulele version of “Savoy Truffle” features the current Ringmaster of The Big Apple Circus. Jenna sings the song from the perspective of a very sadistic dental nurse. You can hear her smile as the drills start. are you regretting taking that last chocolate from the box? It’s never too late to join the circus! Jenna Robinson was born and raised in Miami Beach and has called New York, Los Angeles, London and Maui home. She is a singer, actress, sommelier, baker and healer who infuses her passion for the harmonics of creativity into everything she does. A true “Renaissance woman,” she is as comfortable on the stage as she is in a kitchen or on a mountaintop. 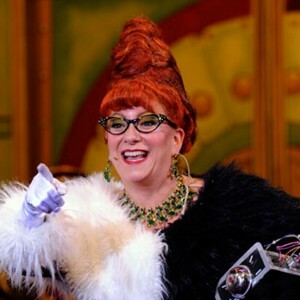 Memorable onstage roles include Titus Andronicus, Dorothy Parker, Mrs. Malaprop, Miss Adelaide, the Leading Player in Pippin, Helga in Cabaret, Joanne in Company, Joann in Godspell, and both Masha and Natasha in The Three Sisters. In addition to her theatrical credits, Jenna also sings on original cast and soundtrack recordings, performs in music videos and has been seen on the big and small screens.